The availability of vaccines to prevent illnesses or diseases dramatically changed over the last twenty years. Today, vaccines are leveraged by Pediatricians, Family Practice, Internal Medicine, OBGYN and various other medical specialists in their medical practice. Additionally, pharmacies and retail clinics administer vaccines in many states. There are a few components to managing vaccines including: management of the cold change, inventory management at the site of location, recording the vaccines provided to a patient and proper management of payment/reimbursement so the practice does not lose money when giving vaccines. cines with an accurate temperature probe that will alarm/notify a person at the practice if the contents in the Refrigerator/freezer are outside of the range. A good, calibrated monitor that can monitor both the refrigerator and freezer costs about $250 and about $9/month for the remote monitoring. This type of temperature monitor sends notifications boht via e-mail notifications as well as via the smart phone APP. -Inventory Management System for receiving shipments of all vaccines and shows real time the number of doses per vaccine in the refrigerator/freezer. patients listed in the system. -A scheduling program so that patients receiving a vaccine can be scheduled with the appropriate provider. 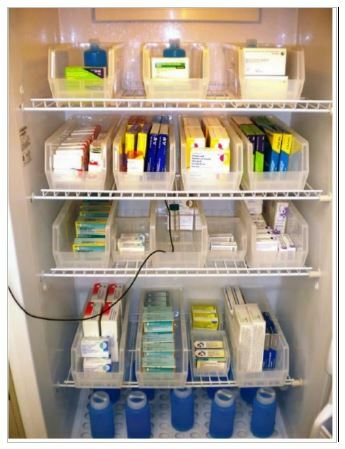 -A place to order vaccines for a patient visit and ability for staff to use either a bar code scanner or select the vaccine provided from the inventory listed in the refrigerator/freezer. The staff can record who administered the vaccine for each patient during the administration process. -A record all patient vaccinations received (vaccines administered via VaccineXpress inventory management system and previous vaccines). 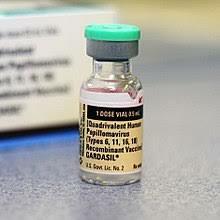 -Ability to show the vaccine schedule for the practice and if the patient is behind on certain vaccines. Payment/Reimbursement of Vaccines: Many practices lose money on their vaccines due to the gap in systems and processes previously available to them. Reimbursement of vaccines is for most patients that are under 65 year old, through their Medical Benefit. The Medical practice buys the vaccines, administers the vaccine and then bills the patient’s insurance (known as “Buy and Bill”). Insurance companies have a formula on how they reimburse which is usually based on the Average Sales Price (ASP) of the Vaccine. A simple way to think of ASP is the current list price minus the current average discount given to practices, pharmacies, etc. Most Insurance companies reimbursements are based on a formula to provide a small margin above ASP. This is complicated for most practices, until now, to have the proper tools to monitor and manage their vaccine business. ……let’s go through an example of reimbursement for a vaccine. If the vaccine list price is $102 and the practice receives a 2% prompt pay discount, the practice cost is really $100. If there are other discounts provided by the manufacturer that the practice does not receive, the average sales price (ASP) might be $98. If the Insurance company’s reimbursement formula is 6% above Average Sales Price, the reimbursement rate/contract rate would be about $104. So how does the practice lose money on the vaccine cost? 1. 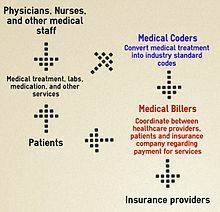 The average practice collects 95% of the contract amount of all charges (each visit is a co-pay, insurance pay, and patient responsibility) – by not having an optimal billing process to collect at 99% of the contract amount – the practice usually loses money on reimbursement of the vaccine CPT codes. 2. Vaccines increase in cost by 5-10% per year. When the cost goes up by 5-10%, it takes about 5-6 months until the reimbursement to increase because it takes time for ASP to be updated. PhysicianXpress via the PediatricXpress system and billing processes provide an easily to monitor vaccine Profit and Loss (P&L) dashboard that displays the profit or loss by vaccine per each insurance company for a selected time frame. VaccineXpress provides a very cost effective approach to Inventory Management of Vaccines including a database to schedule patients to receive vaccines, record vaccine records, link vaccines received by practice to patients provided and leverage bar code readers to minimize chances of mistakes and reduce work load. PhysicianXpress, the creators of PediatricXpress, includes vaccineXpress plus an end-to-end system for managing Pediatric Medical practice so the practice can consistently achieve a 99% collection rate.